Properties in Medford Central Library average 4.7 out of 5 stars. The Loft at Brenden House with private deck, kitchen, WIFI, A/C and parking. 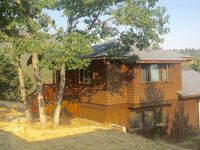 Property 2: The Loft at Brenden House with private deck, kitchen, WIFI, A/C and parking. Stunning studio, Italian Motif, Walk to Town. Property 4: Stunning studio, Italian Motif, Walk to Town. Property 6: One Bedroom Apartment ~ Perfect For A Stay In Ashland! Spacious Suite in Idillic Settings, Gorgeous Views. 4 mi. to downtown Ashland. Property 9: Spacious Suite in Idillic Settings, Gorgeous Views. 4 mi. to downtown Ashland. One Block To Theater, Park And Town -- Walk Everywhere! Property 10: One Block To Theater, Park And Town -- Walk Everywhere! LOCATION LOCATION midway between Medford and Jacksonville. Property 14: LOCATION LOCATION midway between Medford and Jacksonville. Property 21: Best Value in Ashland! Property 30: Live the Ashland Dream; BEST LOCATION! Sunset room on ten acres near Emigrant Lake and five minutes from Ashland. Property 39: Sunset room on ten acres near Emigrant Lake and five minutes from Ashland. Absolutely gorgeous place to stay in Ashland! The Owl House is a beautiful cottage in the wooded hills high above Ashland. We loved the views, the quiet, and location. The interior of the small house is just as lovely--spacious, comfortable, and decorated simply with beautiful furniture and pieces of art. The owner, Thomas, was easy to contact, welcoming and friendly, and brought us coffee and tea for our breakfast supplies.We will definitely be returning. Very clean, modern, efficient apartment in quiet neighborhood. Very good place it you have a dog that likes to run and spar. 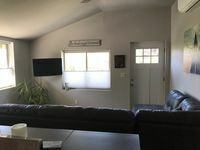 Wonderful large dog run nearby as well as nice walk around a beautiful pond.Comfortable bed and great shower make it a great place to return to.